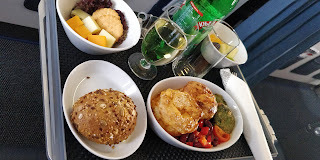 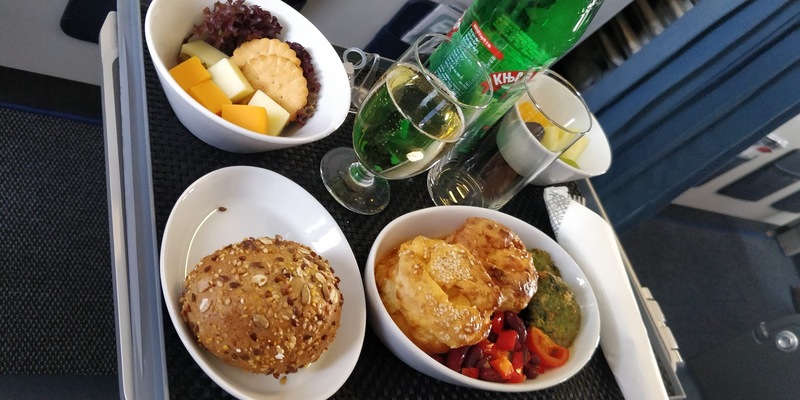 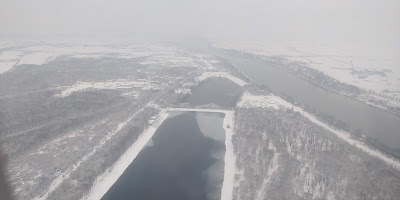 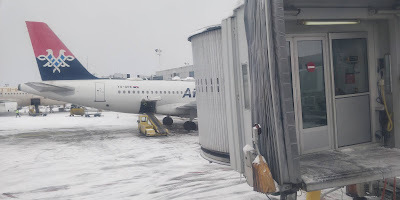 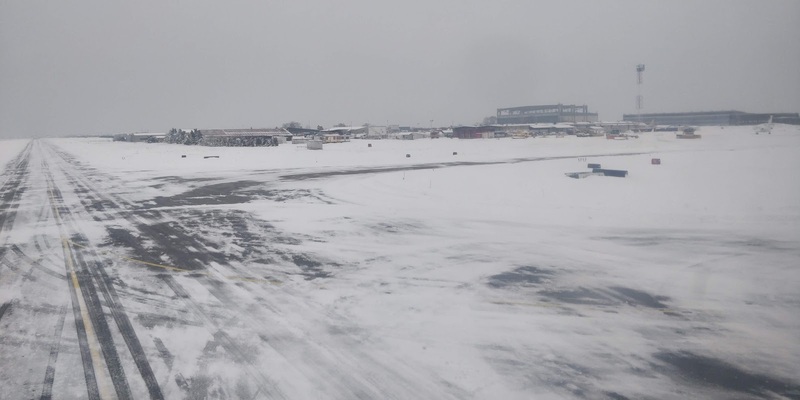 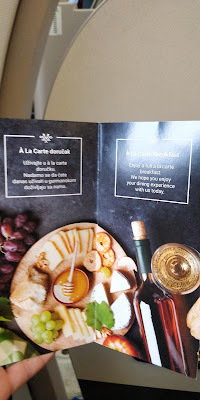 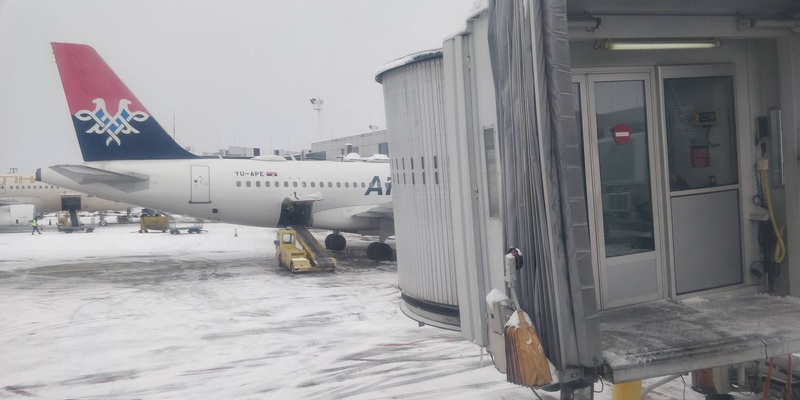 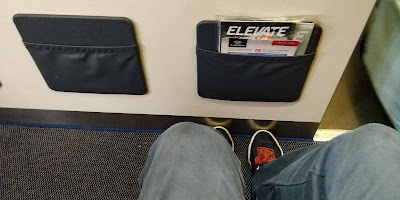 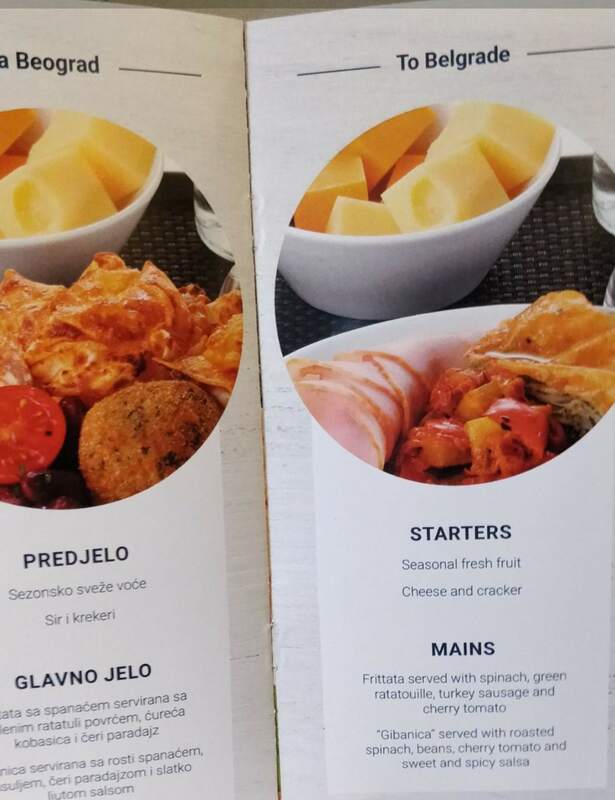 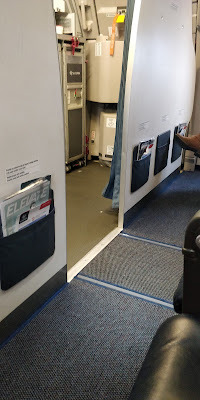 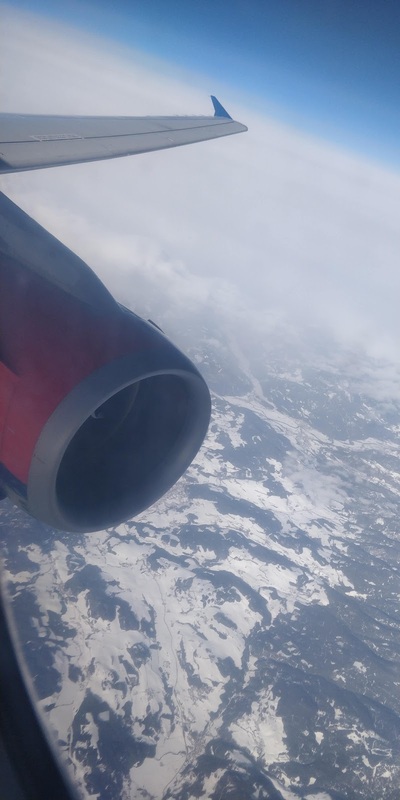 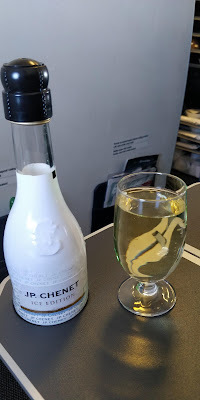 As part of a recent flash sale, I had the opportunity to fly Air Serbia, which still uses the airline code JU from its past name as JAT, from Zurich to New York via Belgrade. The first segment was on an Airbus 320. 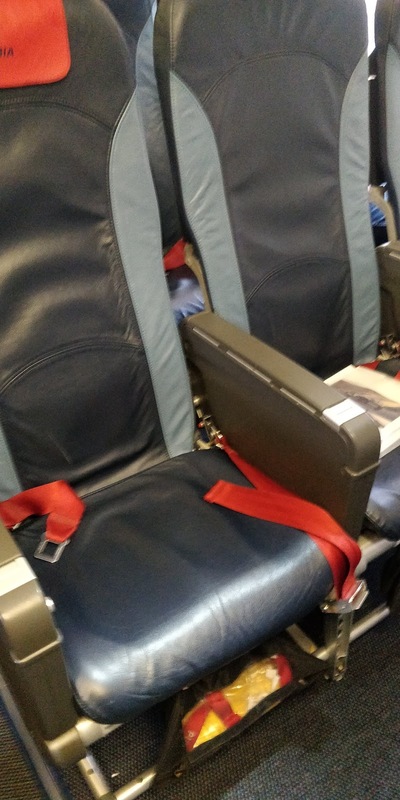 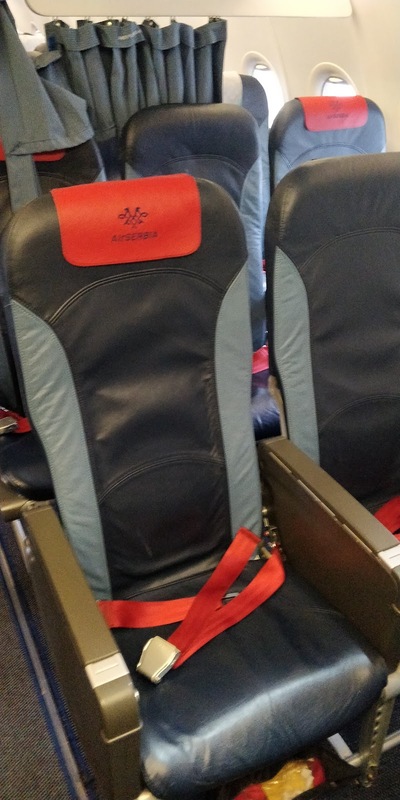 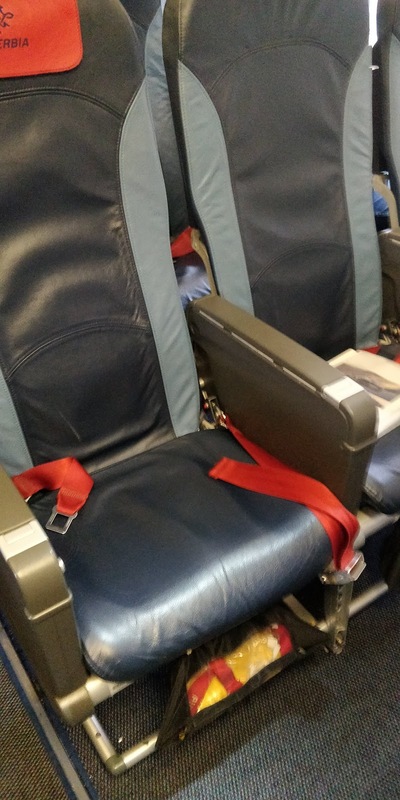 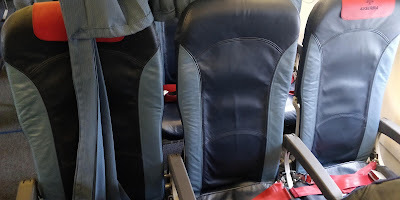 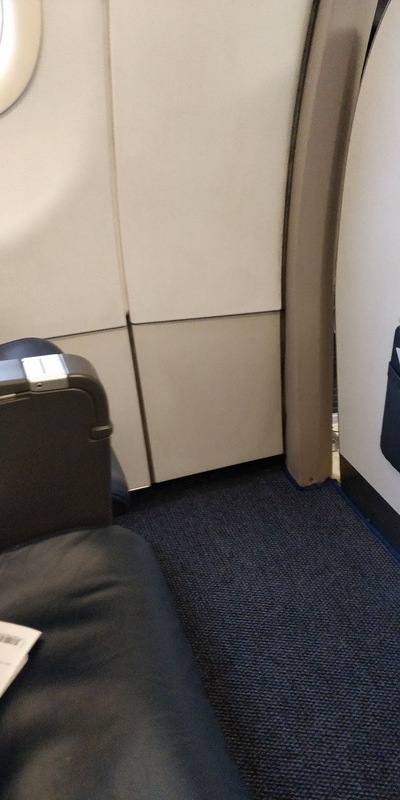 Recently Air Serbia changed its Business Class from 2-2 seating to a Eurobusiness system with a blocked middle seat. Check in was seamless in Zurich (no online check-in available ex Zurich, but it was a breeze. We used the. 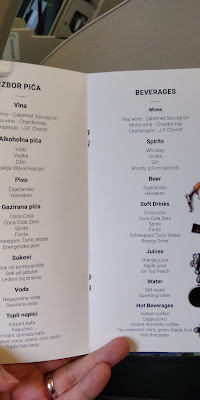 Swiss Business Class lounge (review coming soon) via our Priority Pass card before the flight. Pre-departures menus were handed out but no pre-departure drinks were offered. There were two breakfast options and I went with the Serbian option. 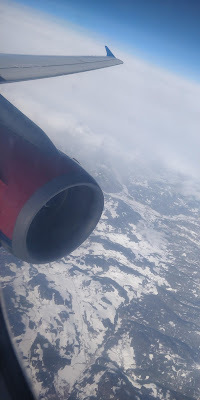 The flight uneventful, supposedly there was Wi-Fi utilizing the Wi-Fly provider but my cellphone could never connect to the network. 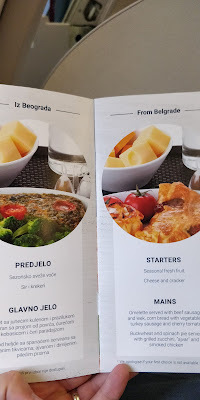 After an hour and change we approached Belgrade and it was off to the lounge to try it out before the flight to New York with Air Serbia operated by Etihad.